Perfect for windows, car windshields, bathroom mirrors, cooking benches and more! This all-in-one cleaning system is compact in design and super easy to use. 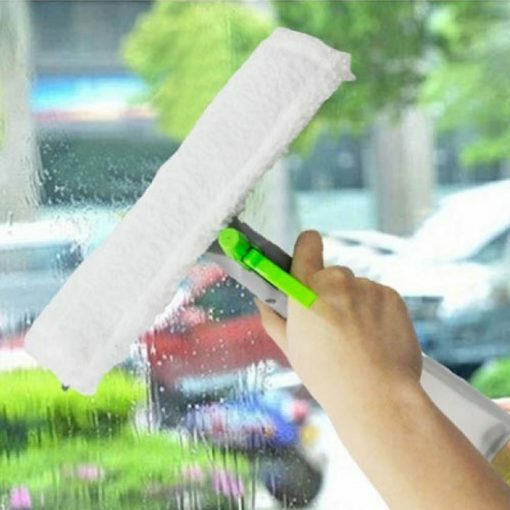 The 3 In 1 Spray Squeegee allows you to clean and dry windows with one hand – simply spray, wash, and squeegee dry for professional results with streak-free finish! 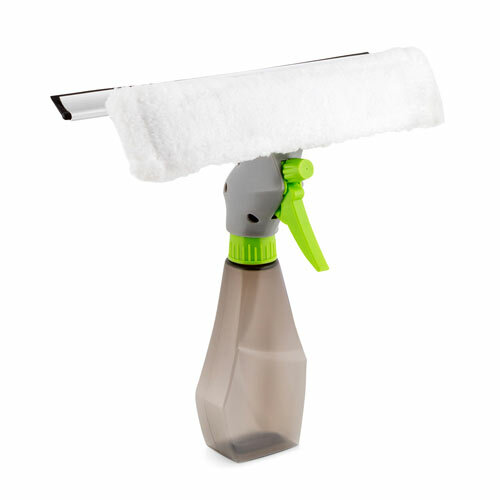 This innovative, multifunctional design features a professional rubber blade for superior, streak-free finish, and a microfiber washer that gently cleans away dirt without scratching, as well as a built-in spray bottle for easy single-handed use. Perfect for windows, car windshields, bathroom mirrors, cooking benches and more! Tthis all-in-one cleaning system is compact in design and super easy to use.